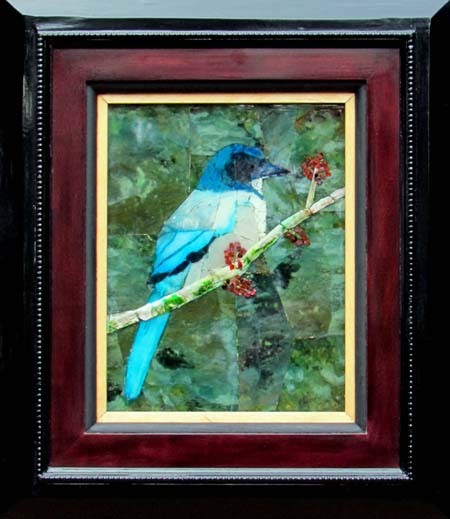 A mosaic of stained rock, petrified wood, and sodalite rock are woven together to form a Mountain Bluebird perched on a berry covered branch crafted out of stained seashells. Over a mossy colored canvas of rock this striking figure rests. The background is green agate.